In this Infographic, we provide four tips to help you prevent becoming a victim of identity theft. 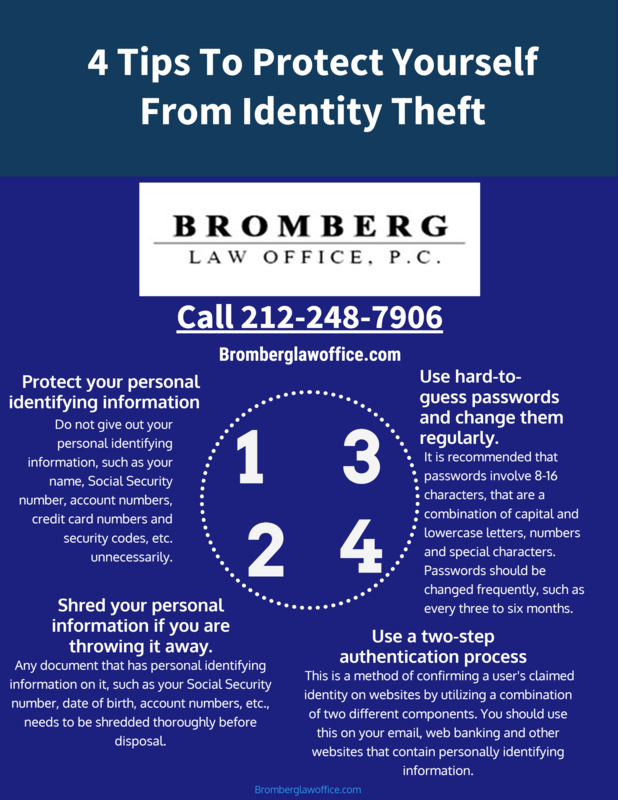 If you have been the victim of an identity thief please call our offices today at 212-248-7906 to schedule a free consultation. We have been fighting for consumer rights since 1999 and we can help you get your life back on track.